A comprehensive and breathtakingly illustrated presentation of the genius of Michelangelo by the world's leading expert on the artist The Italian Renaissance master Michelangelo Buonarroti (1475-1564) was especially celebrated for his disegno, a term that embraces both drawing and conceptual design. 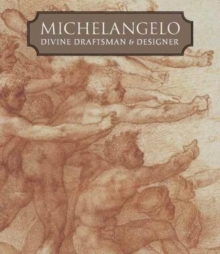 Featuring more than 200 drawings as well as paintings, sculpture, and architectural plans and views, this authoritative examines Michelangelo as "the divine draftsman and designer" whose work, according to Giorgio Vasari, embodied the unity of the arts. Carmen C. Bambach delivers a thorough and engaging narrative of the artist's long career, beginning with his training under Ghirlandaio and Bertoldo and ending with his 17-year appointment as chief architect of St.
Peter's Basilica at the Vatican. 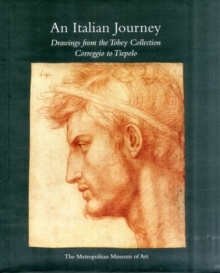 In each thematic chapter, related drawings and other works are illustrated and discussed together, many for the first time, to provide new insights into Michelangelo's creative process. In addition to St. Peter's, other featured projects include the Sistine Chapel ceiling, the Tomb of Pope Julius II, and the architecture of the Campidoglio in Rome. Michelangelo's theories of art are also explored, and new consideration is given to his personal life and affections and their effect on his creative output. Magnificent in every way, this book will be the foremost publication about this remarkable artist for many years.